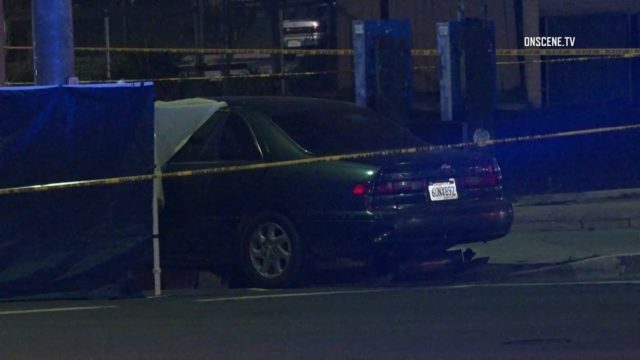 A man was found dead early Saturday after a San Diego County Sheriff’s deputy happened upon a solo car crash in Vista. A sheriff’s deputy was patrolling in central Vista around 3:30 a.m. when he discovered a green 1999 Toyota Camry had struck a signal lamppost head-on, according sheriff’s Cpl. Brenda Ripley. The deputy did not witness the accident, which occurred at the intersection of North Santa Fe Avenue and Townsite Drive, but is believed to have discovered it shortly after it occurred, Ripley said. The vehicle’s solo occupant, a 44-year-old man, was unconscious in the driver’s seat, and was pronounced dead by paramedics at the scene, according to Ripley. The victim was not wearing a seatbelt. Authorities do not believe cell phone usage was a factor in the collision, and it’s unknown if alcohol was a factor.